I thought i have discard or no longer have envious feeling towards other people, WRONG. When i was younger, i had a lot of envious because there were a lot of comparison happened. For somebody like me who dislike rivalry, rivalry don't do any good to me at all (while for other people, it might boost somebody's spirit more and achieve higher). Comparison had caused me became envious. Envy of other's ability to score high at study, pretty, adore by so many people, etc. But then i had an experience which caused me to stop being so envious. 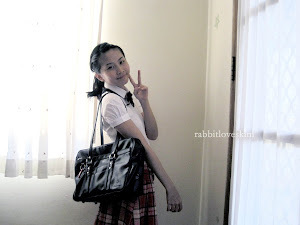 When i was a junior high school student - the 2nd year. I don't know what makes me to be so want to compete at that time. I really wanted to get a good score at school. Okay that sounds good. But, what i really wanted at that time is i wanted to score higher than a friend of mine. A rivalry. I did all the homework and i studied (and i felt that i studied harder than my friend). I even somehow kinda avoiding that friend at that time, i didn't want her to know that i did homework or studied until the exam begin (i arrived at school already, but i studied somewhere first before i went to class). Then.. the day before the report card is given, we can see our score already from the school's website. My score is lower than my friend! I cried a lot at that night and cannot accept the reality. The next day i met that friend and she treats me casually like usual, like nothing has happened! I realized that it was me who made myself hurt. Nobody asked me to feel must score higher than that friend, nobody asked me to feel hurt if i "lose", and why should i feel that i must "win", right? It was me myself! All of the problems came from myself. Rivalry and envious. Since that time, i knew that rivalry don't do anything good to me. I avoided rivalry since that time and become not so envious anymore. And more, after i visited other countries - especially after the first time i visited Singapore , i realized even more that everyone is just so beautiful in their own ways. Everyone is just different, everyone has person/people who love/adore them. And i thought i no longer have envious feeling coz i rarely felt envious anymore. Of course sometimes i say something like "it must be so fun to be her because she can study abroad and gain so many knowledge there." But it doesn't hurt my heart, it's just a saying so i didn't categorized it as "envious". But these days, the truth is... i still have that envious feeling. Towards a person (let's say A) who i don't know that much actually... I met/saw A in real person like maybe less than 50 or even 20 times until today. 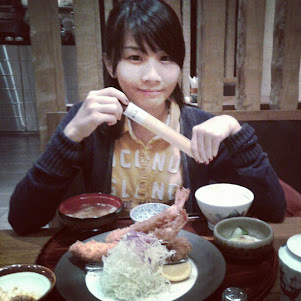 Okay, before this, i got envious with other person (let's say B) as well. Same problem. But i quite get over it already. But with this A, this envious feeling quite hurting me. Why it can happened? The answer is, because somehow i got compared to A before, years ago. Although maybe people are actually not comparing us, but i felt compared to. We have some stuff which is kinda alike. The problem is actually quite simple.. it's about a job. Something which i wanted to do (and actually still want). Actually, there is another factor as well which caused me to become so envious - I haven't know what is my passion until today. "Not enjoying what i do" is the other factor. It's very hard. I have been in the same place. I still try to compete today but only because I want to get better. It leaves me hurting but it also makes me want to try more.